The decision of the commission for reorganization of National Energy Company Ukrenergo about the temporary transfer of powers to manage the company to the chairman of the commission – Deputy Energy and Coal Industry Minister Mykhailo Blyzniuk – creates risks on the way of corporatization of the company and could hinder the pace of the electricity market reform, Minister of the Cabinet of Ministers of Ukraine Oleksandr Saenko has said. He wrote on his Facebook page that the corporate governance reform in the company was launched to prevent the unjustifiable interference of officials in the management of the state-owned company. One of the elements of the reform is the appointment of supervisory boards. He also recalled that the composition of the supervisory board for Ukrenergo was approved at a government meeting on October 3. The supervisory board was entrusted with the task of shaping the development strategy of the enterprise, coordinating its financial plans, providing recommendations to the management, and exercising control over it. "This supervisory board should, together with the management, be held accountable to the shareholder, that is, the state, for the results of the company's activities. This management model works in all civilized countries. A combination of all management functions in ministries will always leave room for conflict of interests and corruption," Saenko said. 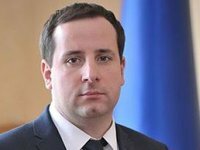 As reported, the ministry on October 18 said that the commission for reorganization of Ukrenergo, which from October 9 is headed by Blyzniuk, decided that powers to manage the company are transferred to the commission head, which is aimed at the successful completion of the reorganization process. The business court of Kyiv on October 23 suspended the decision of the commission for reorganization of Ukrenergo about the delegation of powers to manage the company to the head of the commission in the person of Blyzniuk. On November 1, Kyiv's business court granted the petition of Ukraine's Energy and Coal Industry Ministry regarding the annulment of injunctive relief for the claim of Ukrenergo.